Another week, another attempt at Christmas-themed nail art! This week is another "skittle" manicure with a bunch of stuff going on - so many things I wanted to try, so little time to get them in before the big day! Index finger:"Fair Isle" knitted Christmas jumper. I'm really happy with this attempt - I think I'm learning a lot with all this Christmas nail art! If I had to change one thing, I would make the wire/string of the Christmas lights thinner (my paintbrush was not cooperating today). 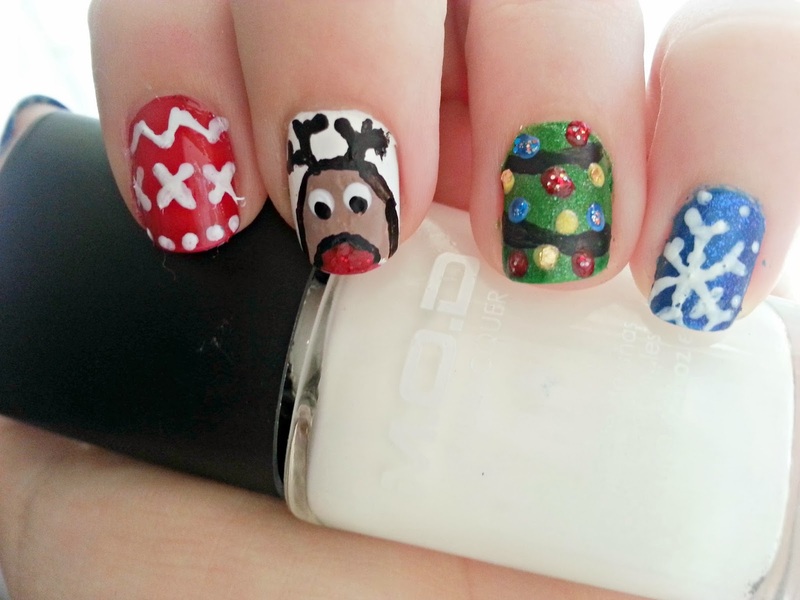 What do you think about this festive nail art? Love it Laura! 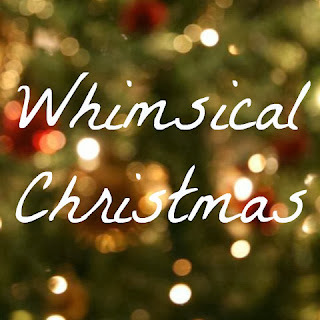 So festive and fun! I wish I had the talent and patience for this. Have a beautiful festive season. I love love love it! I can't even pick a favourite nail because I love them all. Amazing job! These are really great. Well done on the amazing job.